As seen in last week's post, black tea is a popular drink across the country. It's a standard on restaurant menus (including McDonalds and KFC) and usually served in one of the four forms we talked about last time. Many varieties of black tea are available in the country as well, but if you like a very specific tea, you might have to search out a specialty cafe in your area or turn to someplace like Amazon.co.jp. At the local grocery store or on the average restaurant menu, Darjeeling and Earl Grey are the two varieties I seem to encounter most commonly. 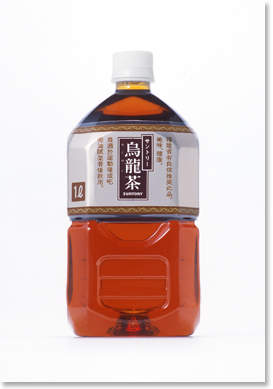 The various bottled "straight teas" often proudly display their variety used on the label. 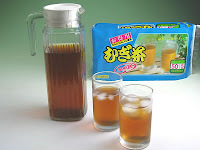 Kirin's 午後の紅茶, for example, uses Ceylon (Sri Lankan) Dimbula tea. Oolong tea originated in China, and in Chinese tea culture it has dozens of very distinct varieties and tastes. But just as the term "green tea" is most commonly used in Japan to refer to a pretty specific type of green tea (called sencha or bancha), outside of tea enthusiast circles the name "oolong tea" in Japan tends to refer to a specific, predictable flavor available in plastic bottled form under a bunch of different brand names. The distinct taste of oolong tea comes from exposing picked tea leaves to hot sun until they wither. The leaves are allowed a longer oxidation period than those used in green teas but shorter than those of black teas. Speaking of which, Black Oolong Tea (黒烏龍茶) is a popular health drink in Japan, especially among women. It's thought to promote weight loss. Though not actually a tea, as it doesn't involve any part of the tea plant, mugicha is one staple of Japanese tea culture. I most often run into it when eating at inexpensive sit-down places like ramen shops and Mugicha tea bags are widely available at grocery stores and drugstores, too. They're pretty cheap and popularly used in homes to keep a pitcher full of cool barley tea in the fridge throughout the summer. Sometimes the commercially packaged bags are designed only to be used to make cold or hot tea, so check the package carefully before buying. According to Wikipedia, mugicha is also quite good for your cardiovascular health and inhibits growth of a certain bacteria implicated in tooth decay. When you think of tea in Japan, you probably think green. So do Japanese people: The simple word for tea (お茶, ocha) used without other clarification is understood in Japan to mean green tea as opposed to black or herbal (tisane). 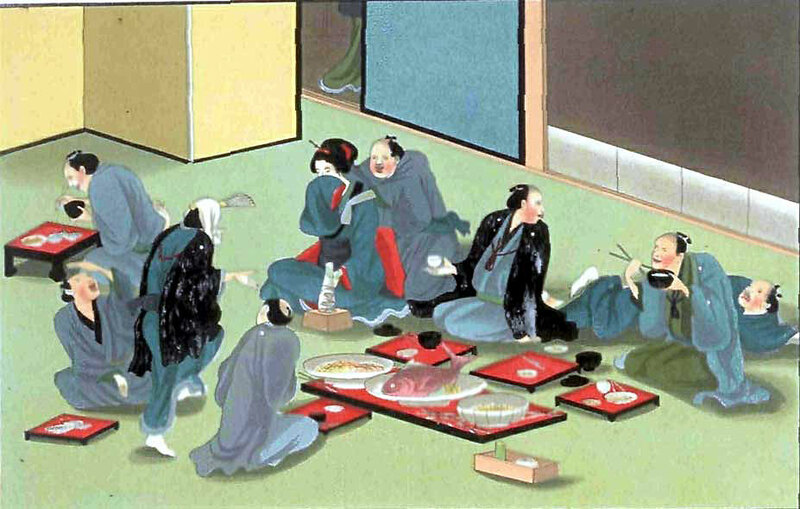 But when distinguishing green from other types of tea, ryokucha is the blanket term commonly used. Some types of Japanese green tea are far more common than others, but perhaps a dozen varieties and names for green tea exist within the label ryokucha. There's so many varieties, in fact, that they really deserve their own post. For an eyeful of exclusively green Japanese teas, check out our next article in this series, 5 Varieties of Japanese Green Tea.